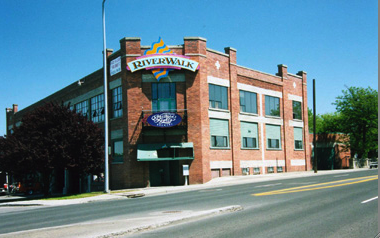 One of the challenges of the Spokane Historical project has been finding images that we can use. Digital history is hungry for pictures, and unfortunately the institutions which hold historic images in Spokane are hungry for cash. Three is no budget for Spokane Historical, it is a labor of love from the EWU Public History Program. So I have not been able to use many historic photographs from our local museum or newspaper. Reader, he married her. 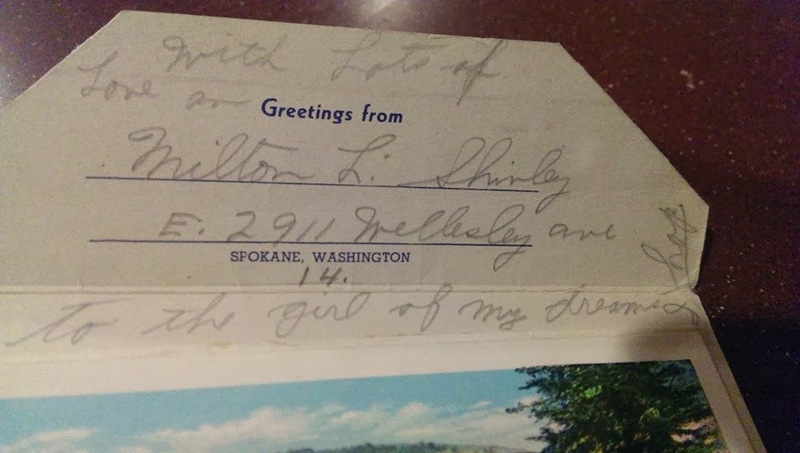 On the day before Christmas in 1946, eleven months after Milton dropped the post cards with his shyly-penciled love note into the mail. he and Gazel were wed. A Unitarian minister, the Rev. John Brogden, performed the service. 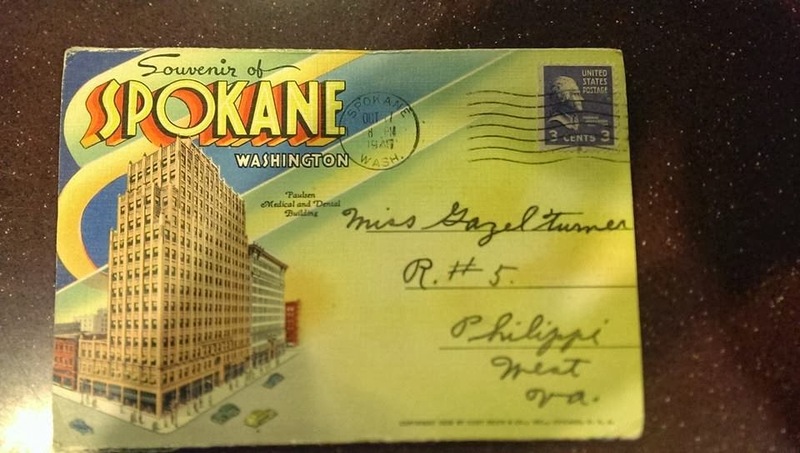 I don't know when Gazel came out to Spokane or what she brought with her--but she must have brought our postcards, which she poured over again and again on her way across the country. 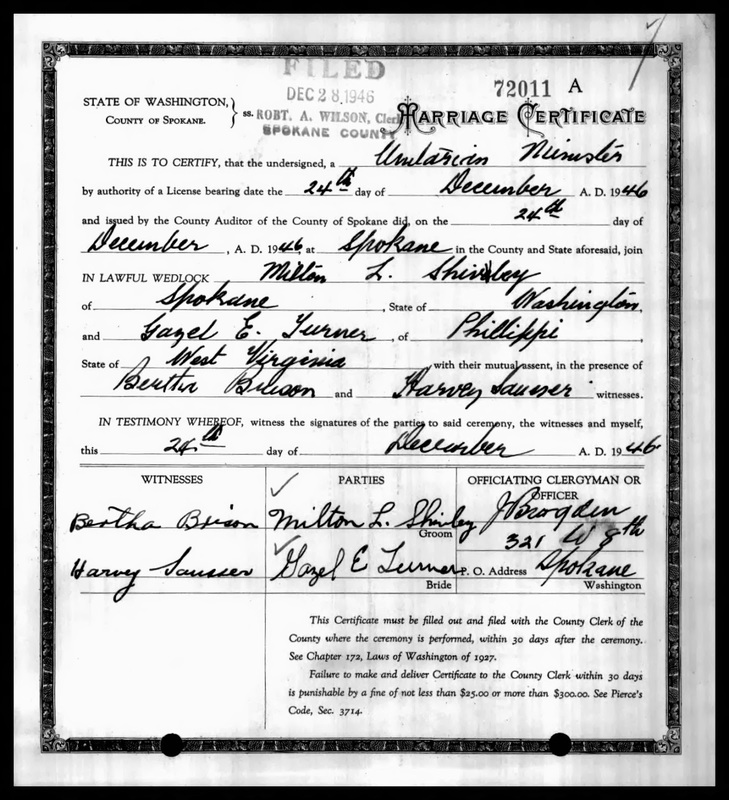 And that really is the end of story, because after their marriage in 1946, our lovebirds seem to have vanished. I can find no record of either Milton or Gazel, including no obituaries. And really, how does a person named Gazel hide from Google Search? 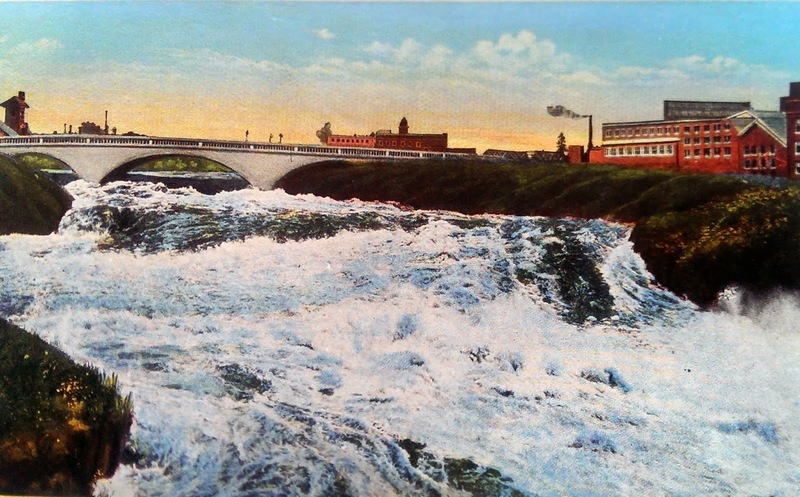 One can speculate all sorts of scenarios, but I like to think they are still together, in their nineties, and living in a little shotgun house in Peaceful Valley, below the falls pictured in the postcard that Milton sent to his girl in 1945.